Today I have read a transcript and heard a rather sensational tape of Rupert Murdoch facing the music for 45 minutes from his embattled Sun staffers and executives as his organisation hands over loads of information to the Met Police in the current hacking and bribery investigations. Exaro provided extracts of the audio to Channel Four News for a special report tonight and a full transcript – suitably redacted to protect people for legal reasons – is on the Exaro website: http://www.exaronews.com/articles/5026/transcript-rupert-murdoch-recorded-at-meeting-with-sun-staff. Tomorrow you can hear 13 minutes of the great man, sometimes angry, sometimes put out as a grown man sob about his plight at a private meeting inside the mighty News International (now News UK) London HQ. All will be revealed on the Exaro website. He attacks Britain ‘s judges ( Lord Leveson watch out) for being biased against News International and put his faith in juries to acquit them all. He describes the Met Police and other police forces as ” totally incompetent ” in their investigations into News International. He cites the way police turned up to arrest Rebekah Brooks as a particularly crass example. Another staffer reveals the police pulled up his floorboards in searching his home. He says the police inquiry into the Sun is about “next to nothing.” This contradicts what he said to Parliament. Names checks Lord Puttnam and people close to Gordon Brown ( Tom Watson Mp?) for wanting to get at the Sun for years. Claims the Management Standards Committee set up by Murdoch is refusing to hand over stuff now to the police after journos complain about a decade of expenses and authorised payments being turned over to the Met. Also the recording reveals that the Sun’s agony aunt,Deidre Sanders, read out a letter to Murdoch from one of the wives of the newspaper’s executives. The letter is so poignant that the executive bursts into tears , interrupting Murdoch’s angry reaction. However what is really revealing is how different Murdoch is at this meeting in comparison with his appearance before the Commons Culture,.Media and Sport. The bumbling elderly media boss who had never heard of Neville Thurbeck and never knew anything because it was only one per cent of his Empire is transformed into a man who says spends an hour every day worrying about his staff and has a great grasp of detail about people who have been hacked. Perhaps the super rich have a secret stash of regenerative pills- not available on the NHS – so they improve with age. Or perhaps it is all the adrenalin flowing in front of his staff. Altogether this is an amazing revelation of what the real Rupe is like in private. 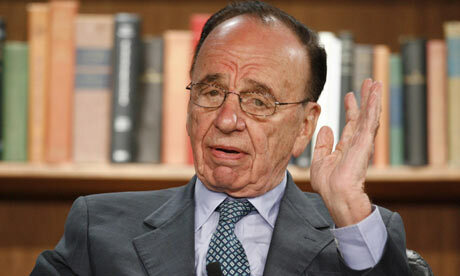 Just for the record, Rupe,to obtain this story no phone or computer hacking was used and no payments were made by me. But I must congratulate you for the way you have trained your staff and executives to make covert recordings. It does you credit when it is in public interest. No animals or children were hurt in this investigation.Only the rich and powerful. This entry was posted in media, police, Uncategorized and tagged operation elveden, Rebekah Brooks, rupert murdoch, The Sun. Bookmark the permalink. that means hes lied to parliament isn’t that a crime..
i wonder what he knows about fillery. My dad used to get the Scum just for the bingo..when winners appeared closer to london he was sure he stood a chance at winning….sad..